West Africa’s funkiest female singer, Britain’s most vibrant new folk act and the world’s coolest band of psychedelic mysterions are among the eclectic headliners in the second batch of names announced for WOMAD 2017 to be held at Charlton Park near Malmesbury in Wiltshire between 27-30 July. Back for its thirty-fifth year, the global gathering that is WOMAD acts as a timely reminder that in troubled and uncertain moments, music has a unique power to bring people together by celebrating the world all its creative, diverse and multicultural complexity. And the bill for this year’s WOMAD festival is as diverse as ever with more than 40 acts now announced for the four day summit of music, art, dance, food, wellbeing, discussion and family adventures, which has made WOMAD a brand leader among summer festivals. The mysterious masked men who create an intoxicatingly psychedelic mix of rock, Afrobeat, funk, chants and tribal drums under the name Goat sprang from nowhere in 2012 to take the musical world by storm with an album aptly titled World Music. Since then they’ve released a second equally monumental album, but we’ve found out surprisingly little about them other than that they come from Sweden and prefer to let their music do the talking. Their determination to remain anonymous, of course, has only enhanced their enigmatic status as one of the hippest names to drop in both rock and world music circles. Stylish, feisty and charismatic, Mali’s Oumou Sangare is not only one of the most powerful female voices in world music but a striking role model who has used her music to campaign fearlessly to improve the position of women across Africa. Since her first album announced the arrival as a rising new star of African music more than a quarter of a century ago, she’s sold out concert tours around the globe to become an international phenomenon. Her latest album has been hailed as the funkiest of her career – and she is an irresistible force of nature on stage, as her recent appearance at WOMAD’s Australian offshoot WOMADELAIDE proved. The opening Thursday night of the festival finds Senegal’s veteran dance band Orchestra Baobab taking the stage along with Brazilian Afrobeat band Bigixa 70 and the Malmesbury School Project, whose annual performance has become a much-loved WOMAD tradition and this year will perform with the Bristol-based global-folk outfit Sheelanagig. Among those making their first-ever appearances in the UK are Tanzania Albanism Society, a group put together by Grammy-winning producer Ian Brennan from members of the ostracised albino community who have been forced to live on one of the most isolated places on earth in Ukerewe Island in Northern Tanzania to escape persecution, and Las Cafeteras, a thrilling Chicano band from the US who mix styles from both sides of the border with Mexico and state, “The President says he wants to build a wall. Las Cafeteras want to build bridges”. Also from the US-Mexican borderlands with a similar message comeOrkestra Mendoza. Other WOMAD newcomers include the wild Brazilian fusions of Meta Meta, a solo project led by Bill Laurence, pianist with the acclaimed Grammy-winning jazz mavericks Snarky Puppy, and the Italian folk bandOfficina Zoe. Bonga, the veteran 74 year old voice of Angolan music, Kakatsitsi, Gubi! Family & Bwiti from Namibia’s Kalahari Desert and the London-based Beating Heart collective with their inventive remixes of field recordings complete an eclectic African contingent, while the diversity of Indian music is represented by Ska Vengers from New Delhi and the explosive Bhangra sounds of the UK-based King Gurcharan Mall & the Dhol Blasters. Jamaica’s Inna de Yard Allstars keep the righteous spirit of roots reggae burning, the Japanese drums of Taiko Meantime promise rhythmic peals of thunder (but hopefully no rain), while Kuenta I Tambureimagine the roots styles of the Caribbean island of Curaçao for the digital age and Xaos lend an equally imaginative 21st century makeover to traditional Greek music. 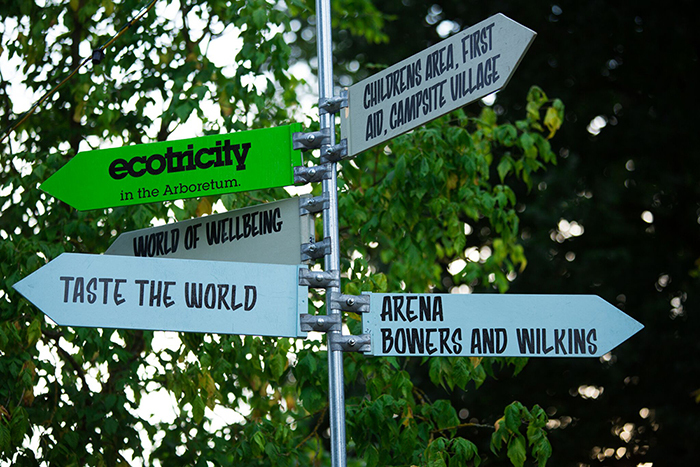 Watch this space for more exciting announcements for WOMAD 2017, including brand new ways for festival-goers to chill out in style at the WOMAD Spa and a nature-tastic theme of Earth, Fire, Water and Air at this year’s World of Children, encouraging kids to get creative with everything from dance workshops to costume design to kids yoga. The buzzing hub of creativity that is World of Words is back and bigger than ever, brimming with poetry, talks, authors, debate and lots more to spark your imagination and The World of Art and Taste the World stage are also returning for 2017, giving festival-goers even more reason to head to the lush fields of Wiltshire this July.